TORONTO – Chai Kosher Poultry has sold its rights to purchase live chickens in Ontario to halal chicken processor Sargent Farms in Milton. Charles Weinberg, CEO, Chai Kosher Poultry, told the Jewish Tribune that, contrary to rumours that are swirling around the community, he has not sold his business or the land; rather, on May 3 the business will close and he will go into retirement. Kevin Thompson, CEO, Sargent Farms, confirmed that the asset to which Weinberg referred was similar to a quota, which allows a processor to purchase a certain number of live chickens from farmers. The number of live chickens an Ontario processor may purchase from farmers is set by Chicken Farmers of Ontario (CFO), according to Michael Edmonds, director of communications for CFO. This amount is the processor’s “calculated base.” A processor cannot ask the CFO to increase its calculated base, so if it wants to buy more live chickens, it has to purchase another processor’s calculated base on the open market, Edmonds explained. Chai Kosher Poultry was the only kosher chicken processor in Ontario, Edmonds said. Sargent Farms supplies halal chickens to both foodservice and retail establishments within Ontario, according to Thompson. 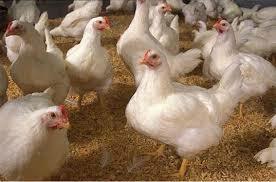 He said Ontario consumers would have to turn to Marvid Poultry in Quebec for kosher chickens.